Another principle of understanding the violent sections of the Bible is to understand the incarnation of God. We typically think of the incarnation as something that happened only when Jesus Christ became human, that is, when He was born of a virgin, grew up as a boy under the parentage of Joseph and Mary, became a man, and then lived, taught, ministered, suffered, and died. Strictly speaking, this is probably true. 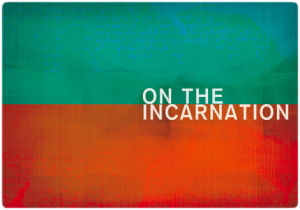 The definition of “incarnate” is “to become flesh.” So prior to the coming of Jesus Christ in the flesh, it is not exactly accurate to say that God was in the flesh—that God was human. God only became human when He entered the womb of a woman and grew up as a human, just like one of us. Yet there is something about the incarnation of God in the person of Jesus Christ which teaches us how God has always entered into the world and interacted with human in history. Just as Jesus took on human flesh with all its weaknesses and limitations, so also God, in the Old Testament “incarnated” Himself into the affairs of humanity with all of our weaknesses and limitations. To say that God became incarnate in human history—and specifically Israelite history—is not to say that God became flesh, but to say that God entering into history and allowed Himself to be limited by the events, ideas, and methods of the world at that time. Jesus certainly knew of better ways of traveling than by walking (and after His resurrection, He shows one of these by appearing and disappearing at will), but as God in human flesh, He limited Himself to walking because this was the available method for most humans at that time. Based on this principle, it seems possible that there might be some instances in the Old Testament where God chose to allow Israel to act in a certain way because He had also limited Himself to the methods that were available to Him at that time. War is never God’s plan or desire, but if the Israelites wanted to enter the land of Canaan and the only method available to them at the time (that they could think of anyway) was violent warfare, then God was restricted from getting Israel to enter the land in any other way. When the Israelites were facing an enemy that was set on killing them all at the edge of the sword, the Israelites could not fathom any other way out of the situation than by warfare (and frankly, neither can I! ), and so God, who had incarnated Himself into human history, allowed them to engage in warfare in His Name, even though war was not God’s will, was not God’s plan, and was not God’s desire. In fact, it seems that in many instances, God tried to show the Israelites that there was a another way out, but since they could not fathom that an enemy could be defeated in way other than killing them, God allowed them to go to war when they had set their minds to it. 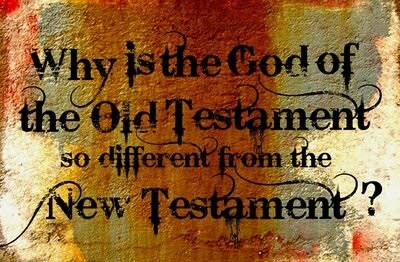 When we start looking at some of the Scriptural texts, we will see that in various places, God has left clues in the Scriptures that He was trying to show the Israelites “another way” but they did not see it, and set their hearts on slaughter, and when that happened, God allowed them to go to war in His Name, even though it was against His will. As a result, “God may choose to act in and through agents who use violent means (e.g., the Babylonian armies)” (Fretheim, Creation Untamed, 106). At the same time, we must recognize that “God’s agents may exceed the divine mandate and have actually done so again and again, going beyond anything that God had willed or intended. [When this happens] God assumes a share of the responsibility associated with that misuse and takes part of the blame for using such agents (see Jer 42:10; Zech 1:15)” (Fretheim, Creation Untamed, 111). This often makes God look quite guilty for the sins of Israel. It makes God appear as if He is commanding genocide, or as if He is telling the Israelites army to slaughter women and children. But if God looks like Jesus, then we know that God is no more guilty of the sins that are ascribed to Him than Jesus is guilty of the sins that He bore on the cross. But from certain perspectives, they both look guilty! This is partly what it means for God to be incarnate and to take the sins of others upon Himself.